Microsoft Azure is a collection of integrated cloud services that companies use to build, deploy, and manage applications through the global network of datacenters. Azure provides many services that are particularly important in the context of integration. To exchange data between on premise applications with applications hosted in Azure Cloud, these reliable enable easy integration with a their clear defined APIs. However, switching from one service to another requires new learning and development. Advantco tries to mitigate these challenges by providing a dedicated adapter for Azure Cloud. 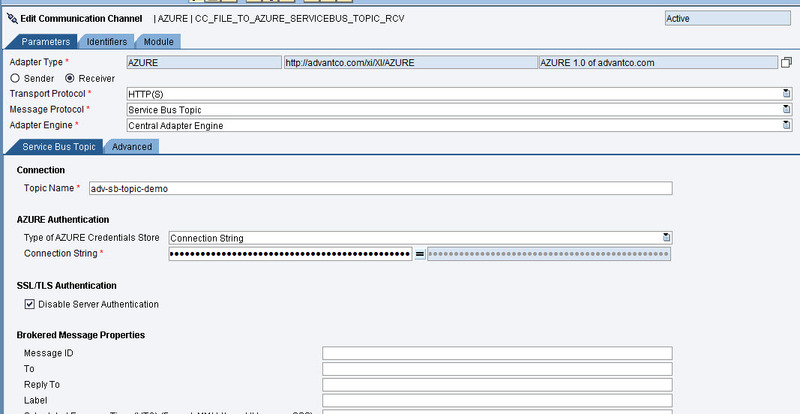 This blog will provide a highlevel overview of these services and how it can be use with the Advantco Azure cloud adapter. The Advantco Azure Cloud currently supports integration with the following Azure services. 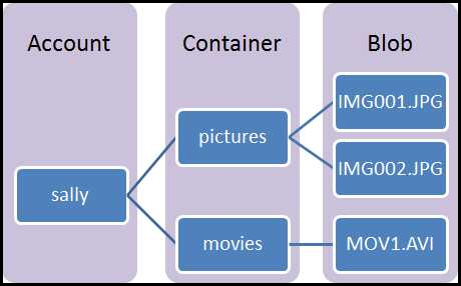 Azure Blob storage is a service for storing large amounts of unstructured object data, such as text or binary data, that can be accessed from anywhere in the world via HTTP or HTTPS. The Azure adapter supports both upload and download of blobs from Azure Storage. Azure Queue storage is a service for storing large numbers of messages that can be accessed from anywhere in the world via authenticated calls using HTTP or HTTPS. A single queue message can be up to 64 KB in size, and a queue can contain millions of messages, up to the total capacity limit of a storage account. This is a simpler queue mechanism than Service Bus. Azure File storage offers network file shares in the cloud using the industry standard Server Message Block (SMB) Protocol and Common Internet File System (CIFS). Azure File shares can be mounted concurrently by Azure Virtual Machines and on-premises deployments running Windows, macOS, or Linux. A general-purpose storage account gives you access to Azure File storage, Azure Blob storage, and Azure Queue storage. 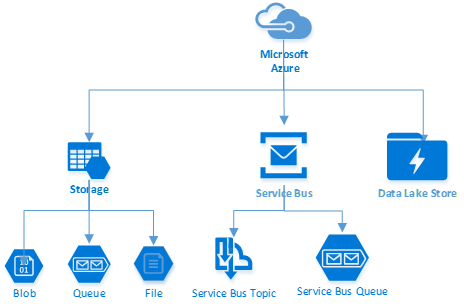 Service Bus is a multi-tenant cloud, reliable information delivery service to facilitate easy communications between applications and systems. 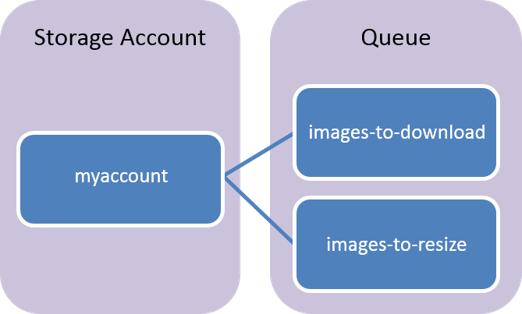 The Azure adapter supports both queue and topic methods. 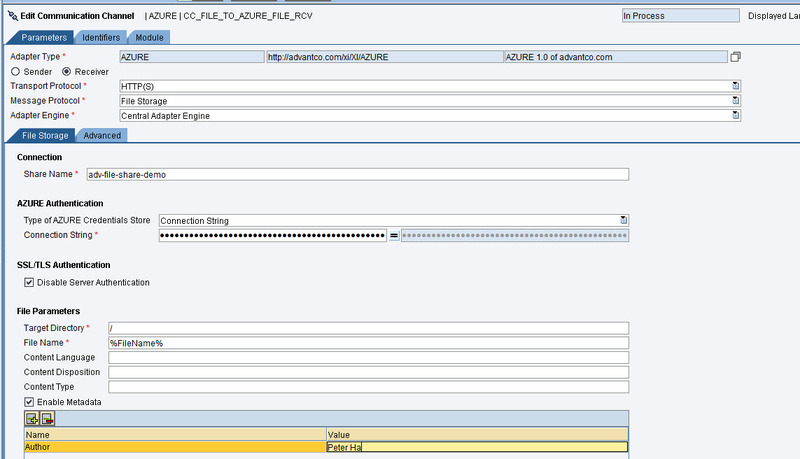 Service Bus Topic channel configuration. Azure Data Lake Store is an enterprise-wide hyper-scale repository for big data analytic workloads. Azure Data Lake enables you to capture data of any size, type, and ingestion speed in one single place for operational and exploratory analytics. 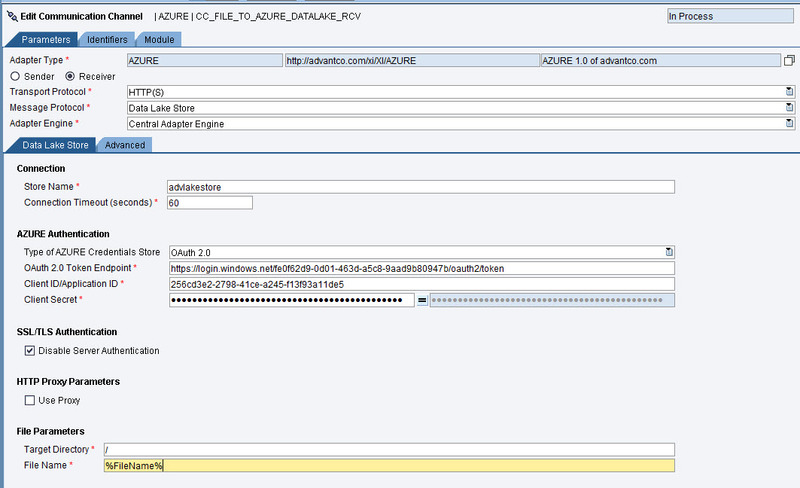 Azure Data Lake Store can be accessed from Hadoop (available with HDInsight cluster) using the WebHDFS-compatible REST APIs. It is specifically designed to enable analytics on the stored data and is tuned for performance for data analytics scenarios.The Azure Data Lake store is an Apache Hadoop file system compatible with Hadoop Distributed File System (HDFS) and works with the Hadoop ecosystem. Data Lake Store channel configuration. Microsoft Azure Cloud exposes many powerful services that are very practical for integration with Cloud Applications hosted on Azure Cloud. These services have their own APIs and require training and development effort to integrate with. 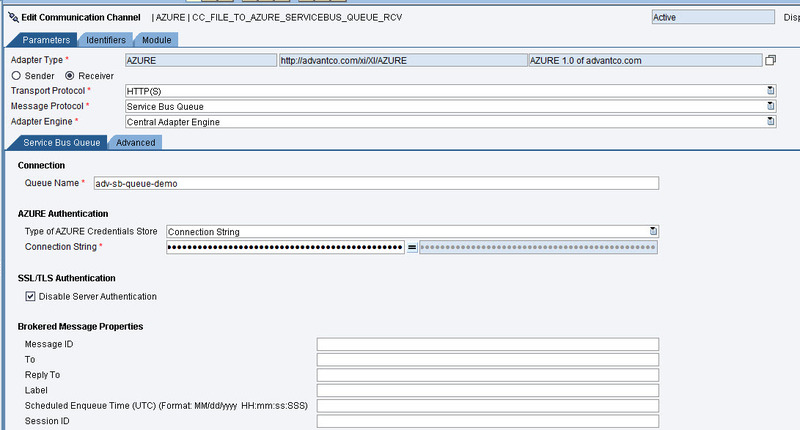 The Advantco Azure Adapter tries to easy these challenges by implementing these APIs in one single adapter. Thanks for the blog. is Advantco Azure adapter available in marketplace? or do we need to purchase it from Advantco?